Eau d’Italie really have it made as a brand. 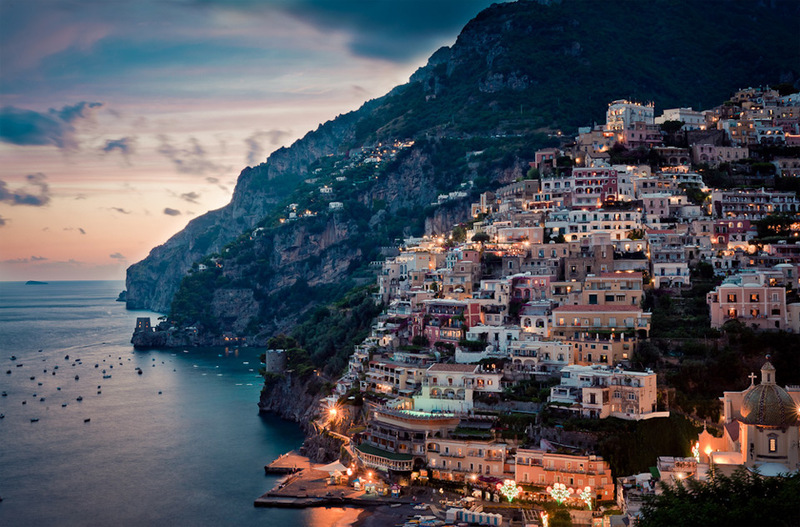 I mean, creating fragrances inspired by their native Italy, specifically the phenomenally gorgeous coastal town of Positano (where they own and run the famous Le Sirenuse hotel), really gives them a lot of beauty to work with. Besides, the Italian way of life is incredibly attractive, one can’t help but want to own a part of that, even if it just an olfactory representation. For their tenth perfume – ‘Acqua Decima’ (Tenth Water), Eau d’Italie have roped in the talents of perfumer Alberto Morillas (Mugler Cologne, Penhaligon’s Iris Prima and Salvador Dalí Parfum de Toilette) to create a perfume that celebrates “the spirit of Italy itself”. The result is a perfume that, as Eau d’Italie puts it; “reflects the sunniest feelings we have inside” but also perfectly captures a way of life in a bottle. Acqua Decima’s initial blast is a refreshing zing of citrus – lemon and lime predominately – accented by the cool menthol of mint. Together the mouthwatering lime and sweet herbaceous mint conjure up the image of an ice cold mojito being gently sipped by the ocean (a la Guerlain’s Homme but without the woody foghorn), the delicious drink soaking up the sea breeze. There is a definite lack of rum backing up this olfactory mojito, so perhaps one is just being sensible and opting for a mocktail instead – after all, it’s important to always drink responsibly! Neroli and petitgrain, both of which display more than a few hints of orange blossom in the heart, add a delicate clean heat to the proceedings. It’s a fairly subtle nuance but it goes a long way to place Acqua Decima as something that came from nature and keeps the associations with Italian landscapes well and truly alive. In the base vetiver and white woods are billed as the key players and to a degree this is true, but both ingredients are presented in a crystalline manner where only the clean and clear facets are allowed to come through. Musk elevates and gives lift to the translucency of the base notes and allows for Acqua Decima to continue its fizzy, vivacious dance long into the hot Italian night. During my Summer Special for Perfume Lovers London earlier this year I chose Acqua Decima to represent an olfactory trip to Italy. To my nose it represents the the animated and lively spirit of the Italian people whilst capturing the clear blue skies and topaz coloured seas of the beautiful Amalfi coast. Summer may be drawing slowly to a close but just a few spritzes of Acqua Decima will keep the spirit of the season well and truly alive. 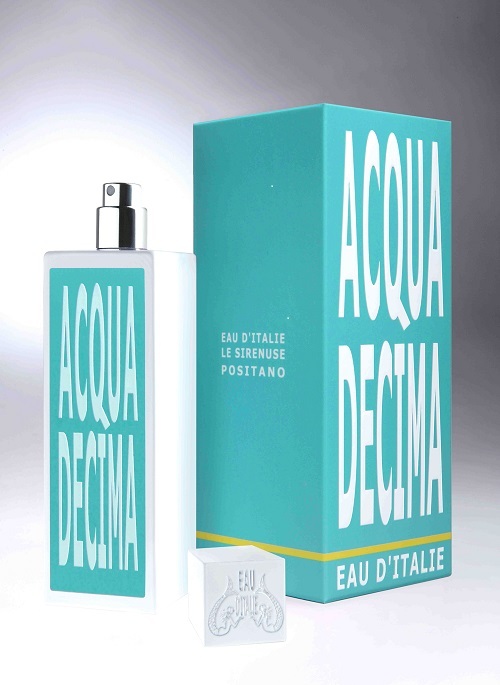 Acqua Decima is available in 100ml Eau de Toilette for £87. Image 1 via onebigphoto.com. Image 2 via cafleurbon.com. Notes and quotes via eauditalie.com. Posted in Citrus, Eau d'Italie, Fruity, Perfume Reviews, Unisex and tagged Acqua Decima, Alberto Morillas, Citrus, Eau d'Italie, Floral, Guerlain Homme, Le Sirenuse, Perfume Review, Positano, Unisex, Woody. Bookmark the permalink. Beautiful review and I’m so happy you like Acqua Decima. Glad you had a chance to try it after I recommended you to try this new Eau d’Italie product. It is a very lovely perfume indeed. I am thoroughly enjoying working my way through the Eau d’Italie line. What do you think about Jardin du Poete or Paestrum Rose? I like Jardin du Poete very much but would probably rank Eau Lac (my favourite so far) and Acqua Decima higher. I haven’t tried Paestum Rose yet – I am swamped with other samples at the moment. Really enjoyed taking this olfactory trip to Italy with you. Anything that can eek out a little more summer is to be recommended. You are welcome any time Tara! Eau d’Italie is one of the lines I’ve got earmarked to work through this year (others on the 2013 list are Divine, Miller Harris, Heeley, and La Via del Profumo) so I’ll get to try this in a bit. And this is where I admit that the citruses just haven’t interested me that much, I’ve yet to try one that really rocked my world. However, knowing how my own tastes have evolved over the last 3 1/2 years, I’ll admit that may change at some point. There are some great lines on that list – Heeley is particularly fab. I know what you mean about citruses, they often fall in to the category of ‘lovely, but where’s the oomph’, but I must admit I’m appreciating subtlety and transparency more in my old age. A little as though Morillas has pulled off the trick he so ably performed updating the traditional cologne for Mugler, this time taking the perfumes of our Italian cousins as his starting point. Duly added to the increasingly unmanageable ‘to try’ list. That’s a very interesting observation! I can certainly see Acqua Decima as a more sparkling Mugler Cologne. It’s most definitely worth a sniff! A veritable Prosecco among perfumes? Thomas, I regard Acqua Decima as the most uplifting fragrance ever. I spritz it on whenever I feel like not doing a certain task and it always motivates me. The mandarin and mint are the strokes of genius IMHO. Caro, I like the idea of it as a motivational tool, it definitely has a wonderful kick to it! Thomas, in my experience the Eaux d’Italie are extremely functional. I admire both Bois d’Ombrie and Paestum Rose but nothing beats the clean feel of Eau d’Italie, Magnolia Romana or Acqua Decima on a Summer day. Glad to know you are enjoying it. ‘Functional’ is a very good word for them – they have an effortless feel to them which suits most occasions. How is the Magnolia Romana? I was reading about it and it seems like it could be a nice wedding scent. We listed it earlier this year among our suggestions for brides. It would be gorgeous as a wedding scent, because it smells pure, clean but not too innocent. Come to think of it, it would work well on the groom too. In Summer I wear it almost excusively. Let me know your thoughts if you try it. I most certainly will! Thanks Caro!